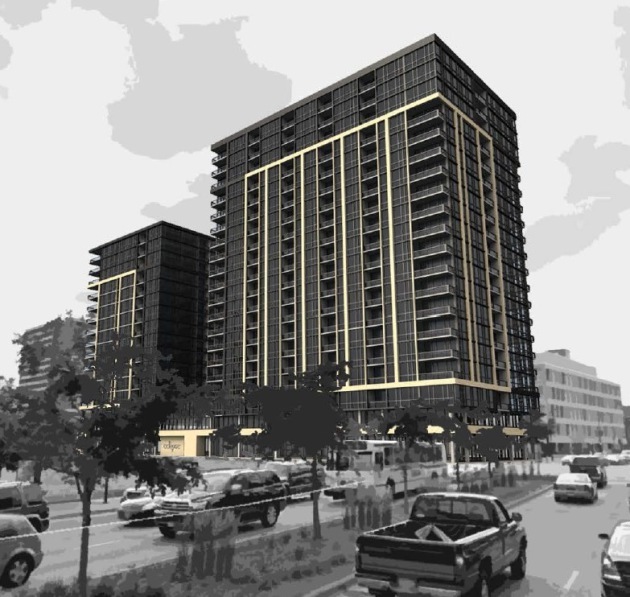 The residential construction boom in downtown Minneapolis got another boost Thursday with the proposal of a new 20-story building on Hennepin Avenue. Called Eclipse, the development between Washington Avenue and 3rd Street North would have 360 condominium units and ground-level retail. The site is now vacant land. The project from Shamrock Development also features a whopping 759 parking spaces, which would accommodate the residential and retail activities, according to a staff report. That continues a trend of developments providing parking downtown, despite having no parking minimums. Here are the renderings, released today. The planning commission committee of the whole will discuss the project on January 30.